The Maine are five albums in now and they’re still living up to the title of their first: Can’t Stop, Won’t Stop. And while each of their albums has a different vibe, they still sound like The Maine we heard on their debut. How many bands today can you say that about, five albums and eight years in? And they haven’t had any line-up changes either. Now, that’s a band of bros! 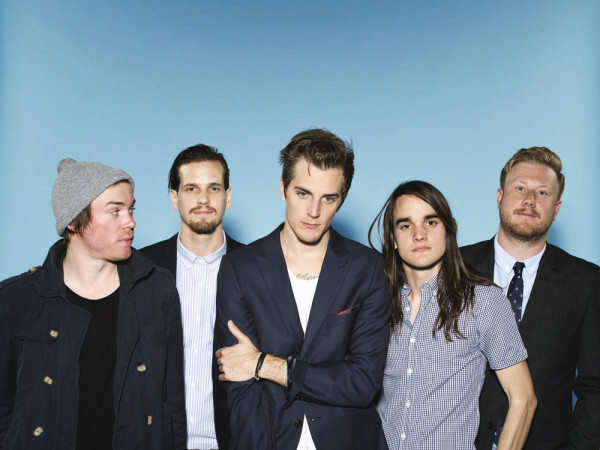 The Maine’s last album, Forever Halloween, showed something of a darker side of them, which was refreshing. But I’m glad they reverted back to their former, uppity selves on most of this record, being that it’s superb, their refined blend of power pop and alt rock a highly addictive, audible drug if ever there was one. 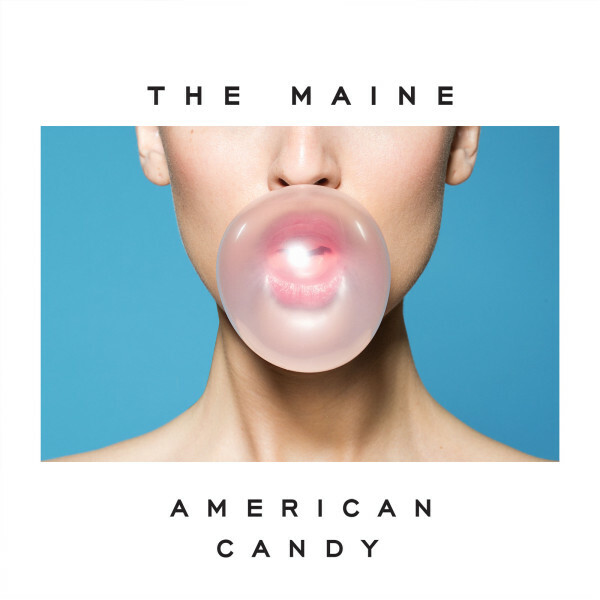 It only takes twenty seconds of listening to the opening track, “Miles Away,” to know that you’re in for a real treat with American Candy. It’s that infectious with its major guitar hooks and John O’Callaghan’s charismatic voice. The only other album by a rock band I’ve heard this year that is this catchy is OK GO’s latest record. And, believe me, I’ve heard plenty of rock albums lately. All ten tracks on this record shine, like a glitter ball spinning as fast as it can, the band seldom shifting gears from their usual up-tempo beats, which drummer Patrick Kirch lays down perfectly. And it’s refreshing to hear an album where the drums sound this sharp. You listen to these songs and it feels like he’s playing drums just thirty feet away from you. It’s also nice to hear the human element to his beats. No drum machine business here. “My hair is tired and it’s falling out,” O’Callaghan sings on “My Hair,” a track that does slow things down a bit, at least during the verses. During the chorus he advises people to grow their hair long while they still can. As a 42 year old, I’d have to say I agree with that advice, though I’m fortunate enough to still have a full head of hair. And, yes, I did have long hair when I was younger. Like, hair metal long. But that was all the rage back then. It was a time when rock stars looked like rock stars, not like your average college kid. And some of the more recent photos of O’Callaghan do show him with long hair. But he’s obviously cut it short again in the promo photos for this album. So, I suppose you could accuse him of not practicing what he preaches, but it was probably still long when he wrote this. And why throw out a great song just because he got tired of having it long? Besides, one his bandmates still has really long hair! Another highlight is the ballad “24 Floors,” which refers to how many floors someone is thinking about jumping from. But the band has some sound advice: “You don’t want to die tonight / Take one more breath to clear your mind.” OK, so that sounds a bit simple, but when you listen to the lyrics of the whole song, you get the impression that the band really gets it, that they can relate to that feeling and truly want to dissuade others from acting on it. They guys must have had a difficult time selecting “English Girls” as the first single because all ten tracks could easily be singles. There’s no filler whatsoever. In fact, if I had to choose a single from this record I wouldn’t have chosen “English Girls.” It’s a killer song, just not one of my personal favorites; I would have chosen “Miles Away” or “Same Suit, Different Tie.” But those are the first two songs here, so the guys apparently think they’re among the very best, too. Seriously though, pick any song at random and listen to it on Spotify and by the time it’s over you’ll want to hear the whole thing. You’ll probably even want to own it.